<-- if the navigation bar doesn't show... please refresh the page. thank you. THE FAN SECTION IS UP! CHECK IT OUT! SEND US STUFF! The Unofficial Sixpence None the Richer Website has reached over 20000 hits! Welcome! to the official Unofficial Sixpence None the Richer Website! This website is dedicated to the fans of Sixpence None the Richer and of course the band themselves. Hey Fans! Well Sixpence is actively working on their new album that may be out in the fall, but until then that's all the Sixpence news for awhile. The MSN.com Leigh Nash transcript chat is available now here. Leigh Nash is the Featured Video Interview on www.launch.com and talks about Sixpence and her new single, "Need To Be Next To You." 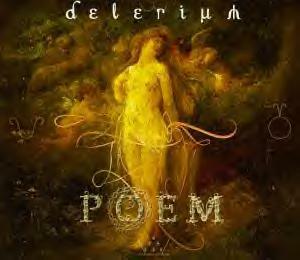 Leigh Nash will be featured on Delerium's upcoming CD, "POEM" that will be out in November. Sixpence's "Us" is featured on the new TODAY SHOW CD compilation: Today Presents: The Best of the Summer Concert Series, Vol. 1 Available on August 22nd. .ws Want some Christian guitar tabs?? Well check this new site! It features a bunch of guitar tabs to many Christian artists! Few Pictures are now up. ATTENTION all Sixpence None the Richer fans... I want your thoughts on Sixpence None the Richer!!! Anything from your album/song reviews, old/new concert reviews, your encounters with this great band!! ALL materials will be posted until there is enough to add its very own section on this site!! Got Sixpence Sites? Send them too! Send them right over!! Give me a helping hand... and contribute to the site!! This Sixpence None The Richer Webring site owned by Melissa.